VATICAN CITY (CNS) — The Diocese of Coimbra concluded its phase of the sainthood cause of Carmelite Sister Lucia dos Santos, one of the three children who saw Our Lady of Fatima in 1917. 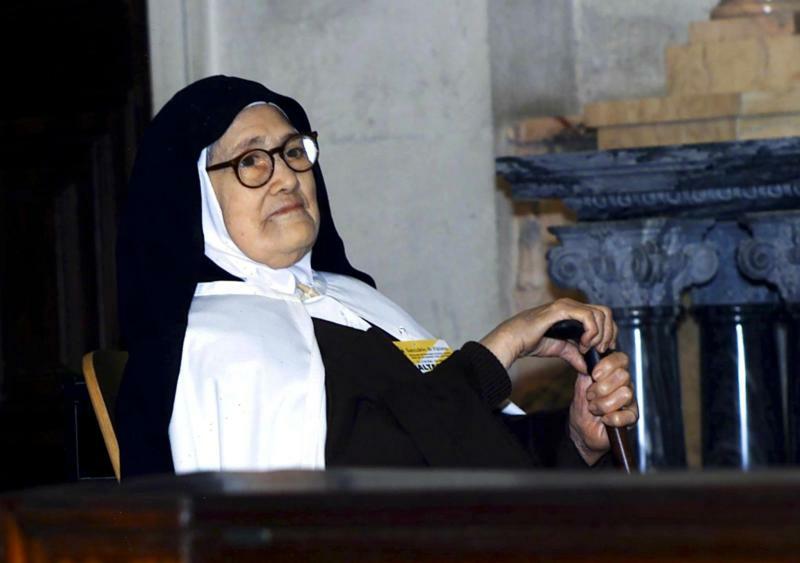 Bishop Virgilio Antunes of Coimbra formally closed the local phase of investigation into her life and holiness Feb. 13 in the Carmelite convent of St. Teresa in Coimbra, where she resided until her death in 2005 at the age of 97. The ceremony included the sealing of 50 volumes — 15,000 pages — of evidence and witness testimonies detailing the life of Sister Lucia. The documents sealed at the ceremony were to be shipped to the Congregation for Saints’ Causes at the Vatican. After a thorough review of the materials and a judgment that Sister Lucia heroically lived the Christian virtues, her cause still would require the recognition of two miracles — one for beatification and another for canonization — attributed to her intercession. The Marian apparitions at Fatima began on May 13, 1917, when 10-year-old Lucia, along with her cousins Francisco and Jacinta Marto, reported seeing the Virgin Mary. “Lucia became holy over the years, not because of the apparitions,” Father Gambalunga told Agencia Ecclesia, the news agency of the Portuguese bishops’ conference. Without providing details, he said she had a “spiritual experience” in the convent. While many hope her heroic virtues will be recognized by the church soon, it is important “not to do things in a hurry,” he said Feb. 13. Pope Francis is scheduled to visit Fatima May 12-13 and many people hope he will use the occasion to canonize Sister Lucia’s cousins, Francisco and Jacinta, who were beatified by St. John Paul II in 2000. Bishop Antonio Marto of Leiria-Fatima told Radio Renascenca, the Portuguese bishops’ radio station, that while nothing is certain, he is “deeply hopeful” the canonization will take place this year, the centenary of the apparitions. “We are waiting and continue to pray to the Lord. But I hope that, during the centenary, we will have the grace and joy to participate in the canonization,” he said. Bishop Marto also admitted that “he is a convert,” who, as a priest, was initially skeptical of the Marian apparitions in Fatima. “I was a skeptic. I didn’t care; I did not take an interest nor did I take a position. I understood it as something for children,” Bishop Marto said. The skepticism changed into belief after attending a conference on the apparitions and reading Sister Lucia’s memoirs, he told the radio station. “I was deeply impressed, both by the authenticity of the testimony she gave and by the seriousness of the problems she dealt with. I read her memoirs three times to find the historical and ecclesial context” of the apparitions.